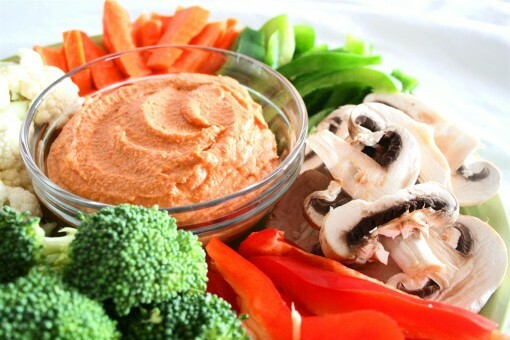 Raw Vegan Cheddar Dip was posted on February 16th, 2011 and is filed under Dairy Free, Dips & Sauces, Gluten Free, Recipes, Snacks, Vegan. This entry has 15 comments. You can follow any responses through the RSS 2.0 Comment Feed. I promised I’d post this dip, so here it is! 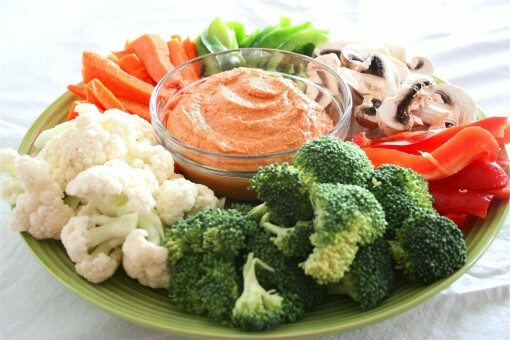 The other day my Mom and I had this for lunch…a whole platter of freshly cut veggies with this cheesy deliciousness. I’m afraid I can’t take credit for this recipe, but I’m glad I can share it with you all! I absolutely heart this recipe…not only does it have that cheesy taste (without the actual cheese) that I love, but it has B12, calcium, antioxidants, vitamin E, healthy fats, and it tastes marvelous. You can thin it down slightly and warm it up to use it as a cheese sauce for noodles or cooked vegetables, or you could thin it down even more for a salad dressing. 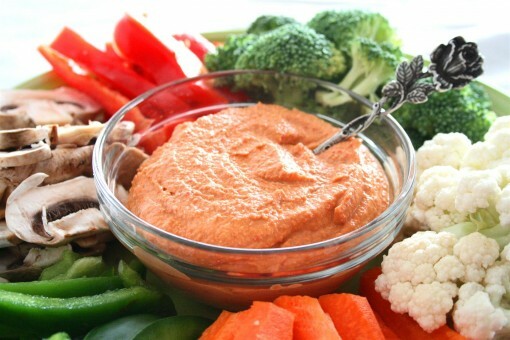 Then again, you could just leave the consistency as is and use it as a dip for crudites or corn chips. This is a superb recipe because everyone…loves…cheese. Whiz in blender until creamy. Add a little water if it’s too thick. This recipe is reprinted with permission from Serene Allison’s “Rejuvenate Your Life” recipe book. I appreciate this book so much and would definitely say it’s in my top 3 for recipe books! Enjoy! Actually sounds quite delicious – was skeptical at first but all those ingredients really would make it cheesy tasting. I finally found out where to get nutritional yeast (I’m in New Zealand, and we don’t get a lot of vegan-friendly stuff) too, so this will be at the top of my list to try. Thanks! I love the raw cheese dips! For dinner parties I always prepare at least one of those and everybody fells in love immediately :) Will try this one too! It looks really tasty. Not everyone in my family enjoys bell peppers though. Could you recommend an alternative? this is amazing! it was my frst time “cooking” with nutritional yeast, and I love it! Will try this! Looks so delish! Thanks for sharing! I’m looking into doing a candida cleanse and I’m avoiding all wheat and yeast…. what’s this nutritional yeast about? 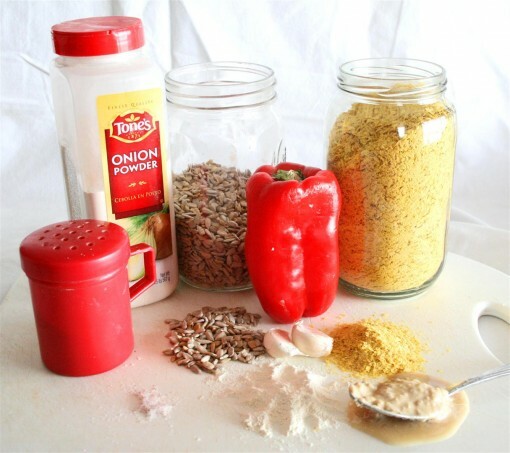 Jessica – Nutritional yeas is deactivated yeast – but I wouldn’t use it on a candida cleanse. However, you can still make this recipe for a dip, but it just won’t have that cheesy flavour – since that’s what nutritional yeast is all about!